Why Are Women Ditching Clinton? The Clinton campaign went into overdrive this week to shore up support among voters most assumed would have been locked in as Clinton backers from the start—Democratic women. 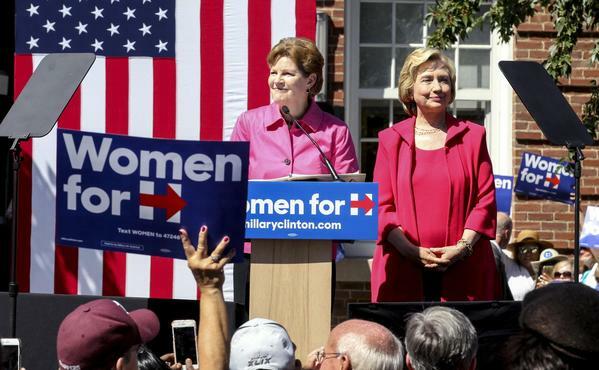 From last Saturday’s kickoff of “New Hampshire Women for Hillary,” to Clinton’s appearance on the Ellen DeGeneres Show last Thursday where she pitched, “If you vote for somebody on the merits, one of my merits is that I’m a woman,” to an online campaign store newly stocked with lady-friendly merch (official “Women’s Rights are Human Rights” tote, anyone?) the not-at-all subtle message is this: Hey ladies, vote for Hillary!